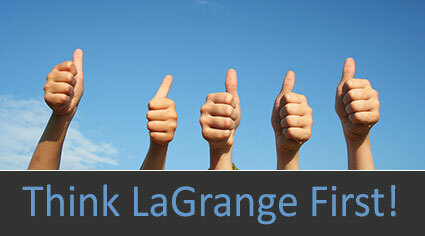 The Town of LaGrange has launched a new campaign "THINK LaGRANGE FIRST". 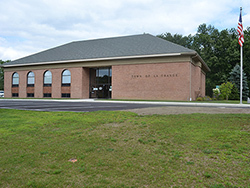 The campaign will be carried out in conjunction with the Dutchess County Regional Chamber of Commerce “Think Local First” program. LaGrange has scores of businesses that make our town great. We want the region to know who they and spot the fact that they are in LaGrange, NY. “The Town of LaGrange Supports Think Local First” posters will be provided by the Chamber of Commerce to advertise the campaign. The posters will be displayed at community events and in Town Hall. LaGrange businesses have been invited to LaGrange Community Day in June of each year to help residents and visitors identify who they are and where they are located in LaGrange. 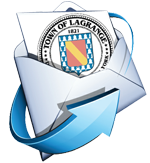 LaGrange businesses will receive a letter from Supervisor Bell asking for their support of the program as well as their cooperation in identifying their respective businesses as being located in LaGrange when they advertise. Shopping local keeps our businesses alive and supports our commercial tax base. Jobs, sales tax revenue and the development of new commercial properties depend on a healthy business community. Supervisor Bell is asking all LaGrange residents to consider a new twist to a familiar slogan; When you shop, when you dine and even when you shop on line; THINK LaGRANGE FIRST. Please remember to Think Local First and Patronize the Businesses in LaGrange.